Do you or someone you love use tobacco and he or she needs life insurance? 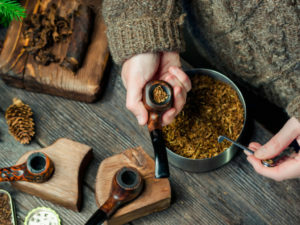 Our guide to getting life insurance for tobacco users will help set you on the path to finding the best tobacco friendly companies offering the best pricing on life insurance for tobacco users. At TermLife2Go, we work with the best life insurance companies that focus on certain health and lifestyle niches within the world of insurance. By aligning our clients with the company that best meets their need we are able to find our clients cheap life insurance. When working in the life insurance industry, you know that it is only a matter of time before somebody comes to you with a misconception. Sadly, this is still all too common whether it regards diabetes, other health concerns, criminal record, or even just the types of insurance available to the general public. With the sheer amount of information available on the internet, it is still saddening to see the lack of knowledge on life insurance. However, we are here today to help and we want to focus on a common misconception; ‘you can’t get affordable life insurance if you use tobacco’. Let’s not beat around the bush here, there has always been life insurance for smokers and there will continue to be options for this demographic in the industry. If there weren’t any options for smokers, we would have to leave our guide here and bid you a good day. With this in mind, today we have the definitive guide to life insurance for tobacco users, where you will learn why you will pay more, what defines a ‘smoker’, tips for the best rates, and more! Before we go any further, we can’t really continue without knowing what life insurance companies deem sufficient for this classification. Of course, those who have smoked several cigarettes per day and will continue to do so for some time to come are given this title. However, there are various other tobacco products that people forget such as cigars, electronic cigarettes, nicotine patches, nicotine gum, chewing tobacco, and more. When attempting to purchase life insurance with tobacco use, providers will consider the length of time you have consumed tobacco as well as which products you use. For example, most companies will ask you whether you have smoked within the last year. Although it is less common, there are some companies that increase this to five years. At this point, we should note that there isn’t some sort of scale that will decide how much extra you have to pay. Instead, the same rate will apply to a casual smoker as someone who goes through over a pack a day. When consuming tobacco, you go against health and safety advice given by the government regardless of whether you smoke two or forty-two per day. Why Are Life Insurance Tobacco Rates Higher? So why do people who smoke pay more money for the luxury of having a life insurance policy? When providers evaluate an application, they are essentially trying to work out the life expectancy and this is why we have to undergo medical examinations and various questions. Therefore, we know that smoking increases our likelihood of dying; the figure is three times higher than non-smokers according to the Centers for Disease Control and Prevention. Over time, many different studies have shown us that smokers are more likely to die early so life expectancy is reduced. For life insurance companies, they have to make up for this and will therefore charge more money to those they insure who smoke or use other tobacco products. In truth, there are many different ways that a smokers can die from the habit including respiratory or heart disease and cancer (within the larynx, lungs, oral cavity, or esophagus). On average, the life of a smoker is around 10 years shorter than a non-smoker (minimum) so this is definitely something to consider. When assessing applications for life insurance, there are various life insurance health classifications which determine the premiums one will pay. For example, ‘Preferred Best’ is for those in the best health, no dangerous habits, and no history of health problems in the family. Moving down, a few minor health problems will be considered ‘Preferred’ while a history of health issues or being overweight will require ‘Standard Plus‘ or ‘Standard’ coverage. Finally, ‘Sub-Standard’ will be the health rating class available for those with a chronic illness or dangerous lifestyle. With smokers, the system is different and actually simplified. Instead of the five levels, there are just three; preferred smoker and standard smoker, with substandard smoker rates also available. Although we said that all smokers go into the same category, health does play a part and poor health will lead to higher premiums than those who are otherwise healthy. As soon as the company finds out that you are a smoker the normal classification system will not be available regardless of how frequently you smoke. So far, we have discovered that tobacco users pay more for life insurance but how significant is the difference? Unfortunately, it isn’t good news because most will pay at least double for the same coverage. In truth, this could be considered a minimum estimate because some have been known to pay four times as much for their premiums compared to non-smokers. Example – If we use a 45-year old male as an example, a healthy version would pay around $50 per month for coverage of $500,000 on a 20-year term life policy. If this male smoked, the same length and coverage would automatically increase his premiums to somewhere between $150-$250. Of course, this is just an average and you may be able to find a policy only 30-60% more expensive (we will have some tips for this later!) but it still shows the impact smoking can have. With this topic, there always seems to be a question about marijuana and life insurance and this is something for which we will struggle to give a definitive answer. Every year, the stance of the US changes towards marijuana because most states have legalized the drug for medicinal purposes. On the other hand, many others are starting to legalize marijuana for recreational use so this will very much depend on where you are currently living. In the past, the entire life insurance industry was a little behind with marijuana use but this has now changed. First and foremost, we would say that honesty is the best policy. If you use marijuana, let your agent know so he or she can put it on your application. Some companies are more friendly when it comes to marijuana use than others. The industry is slow to adapt, and this includes how companies perceive marijuana use. Some companies won’t care much while other will certainly increase your premiums just as we have seen with tobacco. Finally on this topic, marijuana being used for medicinal purposes will not affect your application in itself. Instead, the actual medical condition requiring you to consume marijuana for medicinal purposes is the variable that will contribute to your eventual premiums. If you are a smoker and you need advice, we have some superb tips down below as well as general misconceptions that exist. With this information and everything above, you will be in a great position moving forward! At all times, we highly recommend that you are honest because you will be found out eventually when lying. If you are choosing a life insurance policy that requires a medical examination, they will soon see the nicotine in your blood, urine, and saliva. Sadly, a quick chewing gum before a medical examination will not hide what your body is saying so this is important to keep in mind. If you lie and the company finds out, this can be grounds for automatic decline of your insurance so there is quite literally no point to even trying it. When people say ‘life insurance for smokers is too expensive’, it is normally because they get one quote and are then put off for the next few months or years. However, a quote from one company alone is not going to give you an accurate reflection of the market; what if you just happen to get a quote from the most expensive company in the market? With some companies, they might not consider chewing tobacco or cigars as an issue so you should always see what is around before making a decision one way or another. Even if you are happy with the first price you see, it is always worth digging deeper. Admittedly, this isn’t something that will help you if you are now older and didn’t buy insurance as a younger adult. However, we recommend buying insurance as early as possible if you are still young. Why? Because life insurance is an expense that only ever gets more expensive. As morbid as it sounds, we are constantly getting older and our health is always deteriorating. Therefore, buying early will see you secure the best possible rates for yourself. For some reason, life insurance is seen as an inflexible being but this isn’t always the case. If you happen to quit smoking and are free from nicotine for at least 12 months, it is worth contacting your provider because they might order a new medical examination. If this exam backs up your claims, you could see a reduction in your premiums moving forward.This is one way the life insurance companies incentivize its clients towards a healthy lifestyle. If you want unparalleled access to the life insurance market, the only way to get this is with an agency, such as TermLife2Go, that is not beholden to any one company. As long as your life insurance agent works with numerous life insurance providers, they will know exactly where to look and where the deals can be found for smokers. In addition to the best companies, they should also be aware of the worst companies to contact and this will allow you to save some time. As we have said, the minute the providers knows you smoke you will only be offered smoking classifications. If you want to achieve the preferred rates (if you know that you are extremely healthy elsewhere), why not make an investment in yourself to drop the cigarettes? Not only will you pay less on your premiums, you might have an opportunity to increase your coverage; think about what this money would mean for your loved ones! Different companies require that you have quit the habit longer than others. Some of the more tobacco friendly life insurance companies require that you are tobacco free for 12 months to receive a Standard Plus rate and 24 months to receive a Preferred rate. If you see someone claiming to have the ‘perfect’ answer to how much life insurance you need, walk away or click away from the website because it doesn’t exist. In life, every single individual has their own unique circumstances and it is these that will contribute to the amount of coverage you require. If you have children and want to put them through college, you might need a higher coverage amount than someone with no mortgage or children. There we have it, your guide to life insurance for smokers and tobacco users. As you can see, it definitely is possible and we hope to have helped somewhere along the line today. Remember, you will pay more because you present a higher risk but you can reduce this jump in price by paying attention to the tips above. If you are willing to quit, resubmit in the future, work with an agent, and compare the market, it is an achievable dream!